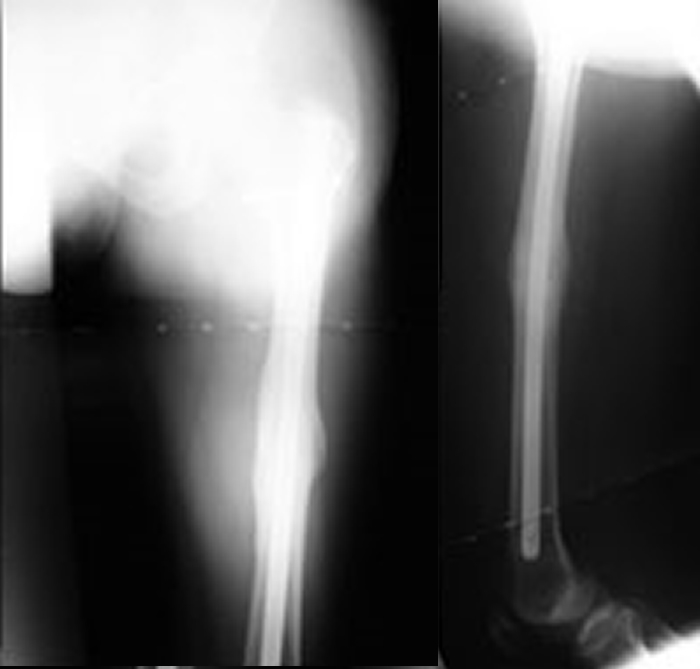 This 38 year old family physician was involved in a high-energy motor vehicle accident in June of 2008. He lost control of his car that crossed into oncoming traffic and was struck by an SUV going approximately 50 mph. The impact resulted in a femur fracture that was treated with intramedullary nail fixation at another facility. 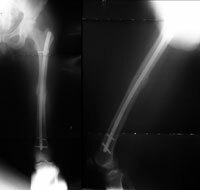 Unfortunately his fracture failed to unite and he was referred in to see Dr. Brinker with a painful femoral nonunion five months after his initial surgery. This patient was treated with exchange nailing. His nonunion was completely healed 3 months following treatment, his pain is totally resolved, and he has returned to full activity.